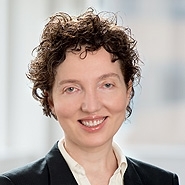 Irena Royzman, co-chair of the firm’s biotechnology practice, and Nathan Monroe-Yavneh authored an article in the October 2017 issue of Nature Biotechnology on the impact of the Supreme Court’s first interpretation of the U.S. biosimilars statute, the Biologics Price Competition and Innovation Act (BPCIA). 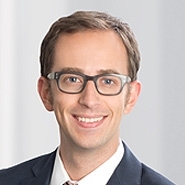 The article discusses the Supreme Court’s decision in Sandoz v. Amgen, which held that provisions of the BPCIA requiring disclosure allowing innovator companies to assess whether their patents are infringed cannot be enforced under federal law. The ruling also allows biosimilar makers to provide notice of commercial marketing long before FDA approval of the biosimilar. As the article explains, the Court’s decision introduces uncertainty into provisions of the BPCIA that many viewed as necessary and enforceable. But, due to the value of certainty for both biosimilar makers and innovators alike in resolving patent disputes for blockbuster biologics, the impact of the Supreme Court’s decision may ultimately be modest. To read the article “The Supreme Court’s interpretation of the biosimilars statute and the value of certainty,” by Irena Royzman and Nathan Monroe-Yavneh, please click here.